Wine Cellar – Somerset Door & Column Co. 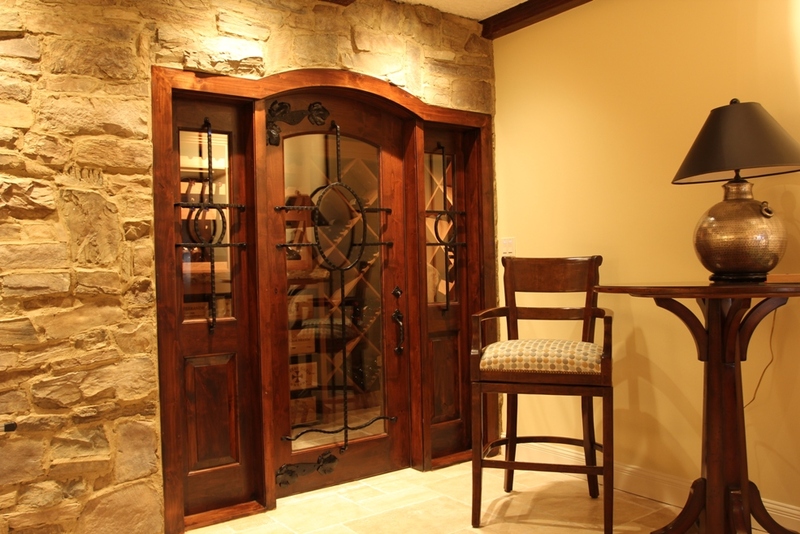 This custom wine cellar door features two sidelites, iron grills and grapeleaf hinges. The exterior side of the door is alder. The reverse side of the door is African Mahogany. Wine cellar door| Columbia, MO. 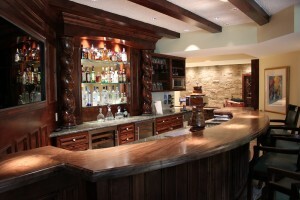 Bar area of wine cellar. Door is on the right.